This can be done using the web interface of Google Calendar (www.google.com/calendar). When doing this you can also assign different colors for each calendar. After you have added those calendars in your Google Calendar account, they will automatically show up in DigiCal. So the next time you create a new event in DigiCal, you can assign the new event to one of your calendars and it will be assigned that particular color. For example, you want to create an event for swimming in DigiCal. What you should do then is to create the swimming event in the "Sports" calendar. It will then show up with the color code you have set up for it. Please note that while you can change the colors of your calendars in DigiCal, these changes are only stored locally and will not show up in your Google Calendar. It's therefore highly recommended to set all the calendar colors on default in DigiCal, and make all your desired color changes through the web interface of Google Calendar. 5. Click on the Create calendar button and enter the details of your new calendar. 1. In the calendar list on the left, move your mouse over the appropriate calendar and click the drop-down arrow that appears. You've now set up your personalized calendars via the web interface of Google Calendar! 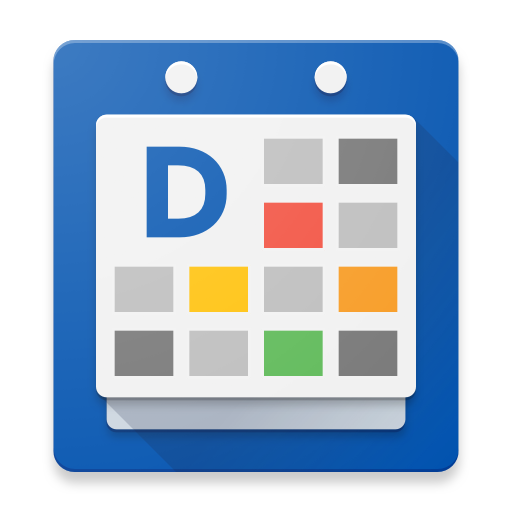 From DigiCal version 1.2.0 on, you'll be able to sync individual event colors within your calendars with the Google Calendar server. Color changes you make to individual events via the DigiCal app will be reflected at www.google.com/calendar and on other devices syncing with your Google Calendar account. Similarly, changes you make elsewhere and get synced with the server will result in the event color being changed in DigiCal as well. More info can be found here. 1. Click to create an event in DigiCal. 2. In the event window, under the Event title bar, you can choose from different calendars you've already set up in Google Calendar. If you would only like a select group of calendars to show up please read the help page explaining how to manage your calendars in DigiCal. If you are using Outlook.com, here's a help page explaining how to add different calendars and how to change the color of your calendars. Please note that default Android calendar sync is limited to the main calendar only, if you use additional calendars, you can install the official Outlook.com app to sync them.